Get your Workout in. Guilt-Free. BEING HEALTHY AND FIT IS A PRIORITY. ​But it isn't that simple, because you're a mom. ​Your little people need you. 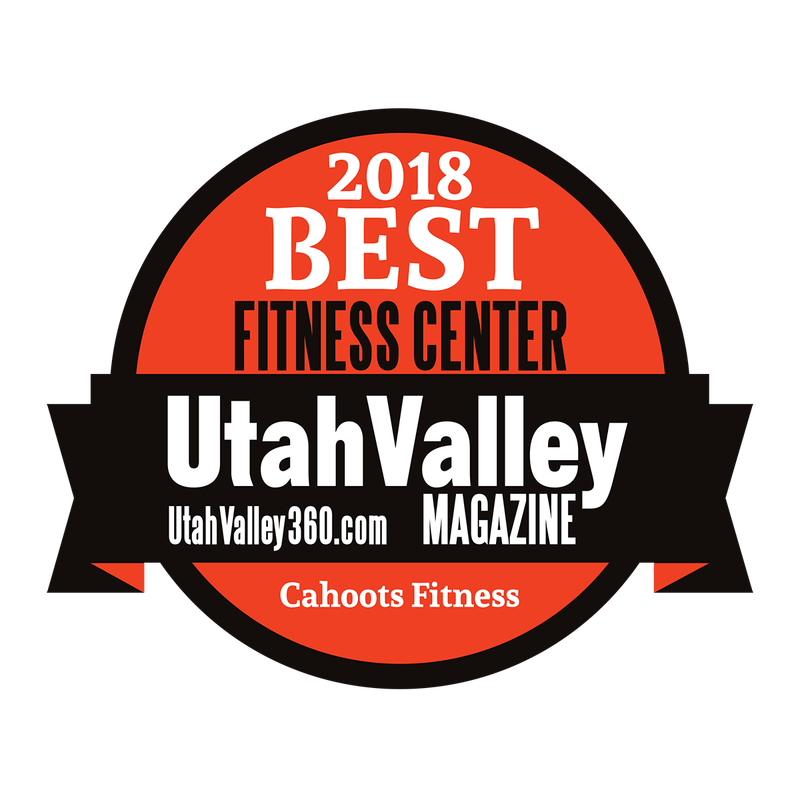 At Cahoots, our goal is developing kids and replenishing women; making health and fitness possible for you, guilt-free. All classes are 1 hour long. A total body workout that utilizes ballet barres in a fusion of Pilates and dance moves. This new workout style serves to strengthen, lengthen, and stretch the body from top to bottom. This popular class style incorporates interval training and cardio with music you love, and intense but easy-to-follow choreography. You will sweat and have a blast! Sculpt & Hiit merges the interval training and intensity of HiiT with weigh-lifting intervals to develop lean, strong muscles to sculpt and tone the entire body. A total-body, high-intensity program incorporating free weights, cardio intervals, and plyometrics to give you great results. 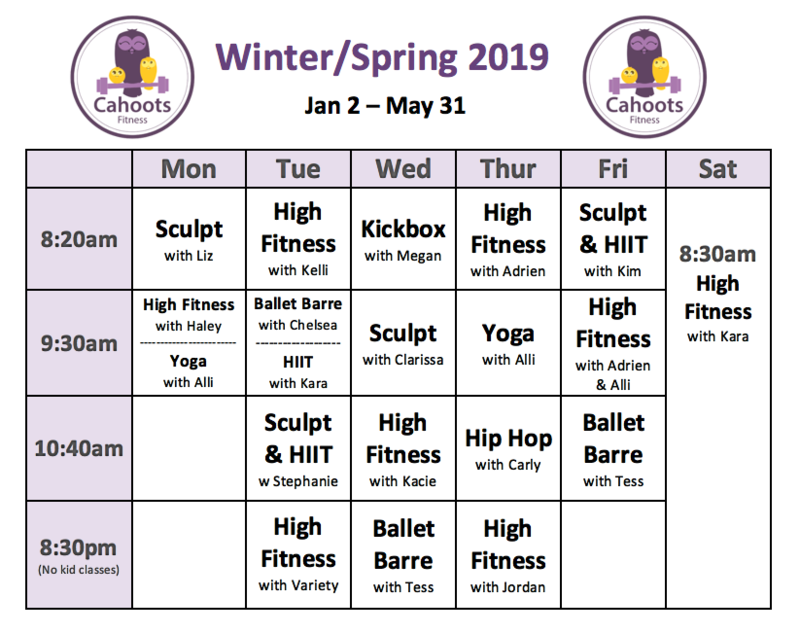 As with all Cahoots classes, all fitness levels are accommodated. Improve your focus and your strength while you tone and stretch your muscles in this classic workout class. Yoga will replenish your body and your soul while stretching your physical capabilities. Ready to try something new and fun? Dance away the calories with a workout that is bound to make you smile and sweat! No matter your skills on the dance floor, come have fun and work hard with one of our newest summer classes! Don't see THE class you WANT? Or prefer a different time? Vote on classes for moms below. 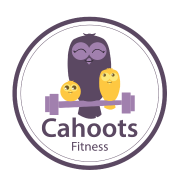 All Cahoots Fitness class﻿es offer pregnancy modifica﻿tions.